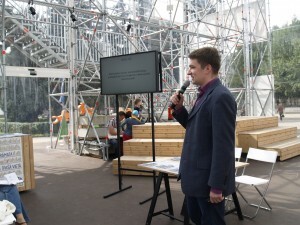 On August 22nd Europeana Newspapers Information day was held in Riga in one of the central parks at a three story high exhibition tent specially built for Riga European Capital of Culture 2014 information purposes. Around 150 people attended the Information day and were informed on the project main results and upcoming European-wide portal of digitised newspapers. During Information day a focused discussion was also organised at the same venue. 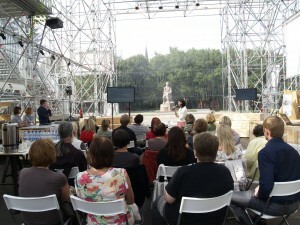 Around 30 people attended the discussion and included both representatives from libraries and archives. The most active users of digitised periodicals portal www.periodika.lv and professionals from IT and digitisation companies were also at the event. 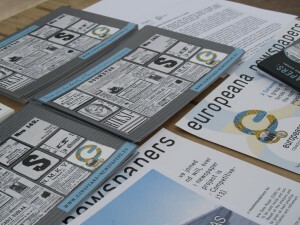 The discussion included two presentations: one on Europeana Newspapers Project and the other one on most popular ways readers use portal of digitized newspapers. 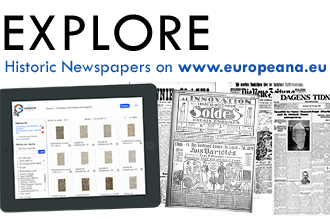 Is a European-wide portal of digitised newspapers necessary or it would be a luxury. And how would you use it? What content should National Library of Latvia digitise next? Would a reasonable fee be used as means to allow users access copyright-protected content even from outside of Library? What would be a reasonable fee for such a service? 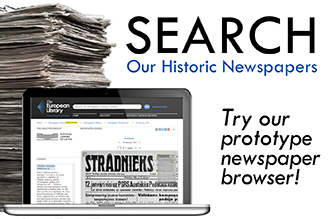 Although many researchers prefer smaller collections, a European-wide portal of digitised newspapers is also necessary, because it lets you easily search for representation of the same events by periodicals of different countries. More than 90% of respondent’s answers were positive. 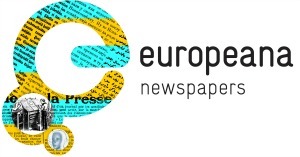 Moreover many of them represent opinion a European-wide portal of digitised newspapers provide access to common knowledge of history and therefore the question we made is out of discussion as we long ceased not discuss necessity of theaters, concerts and culture events. Because National Library of Latvia has mostly digitised central press so far, it would be important to digitise regional periodicals as well. A reasonable fee would indeed be a good solution to allow users access copyright-protected content. About half of all respondents said that 5-7 EUR/month would be a reasonable fee with discount for yearly subscriptions. Other half of respondents stated that fee per-view or per-article would be the correct method to charge for access to copyright-protected content. The Information day was an excellent opportunity to hear what our readers think about our digitisation initiatives so far and some improvements to our portals will be done based on their suggestions. 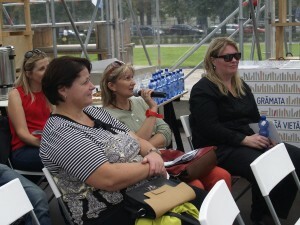 This entry was posted in Blog and tagged information day, Latvian by eurnews. Bookmark the permalink. 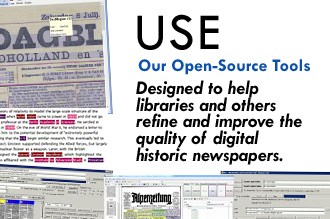 ← Previous Previous post: Which formats and standards are you using in text digitisation?